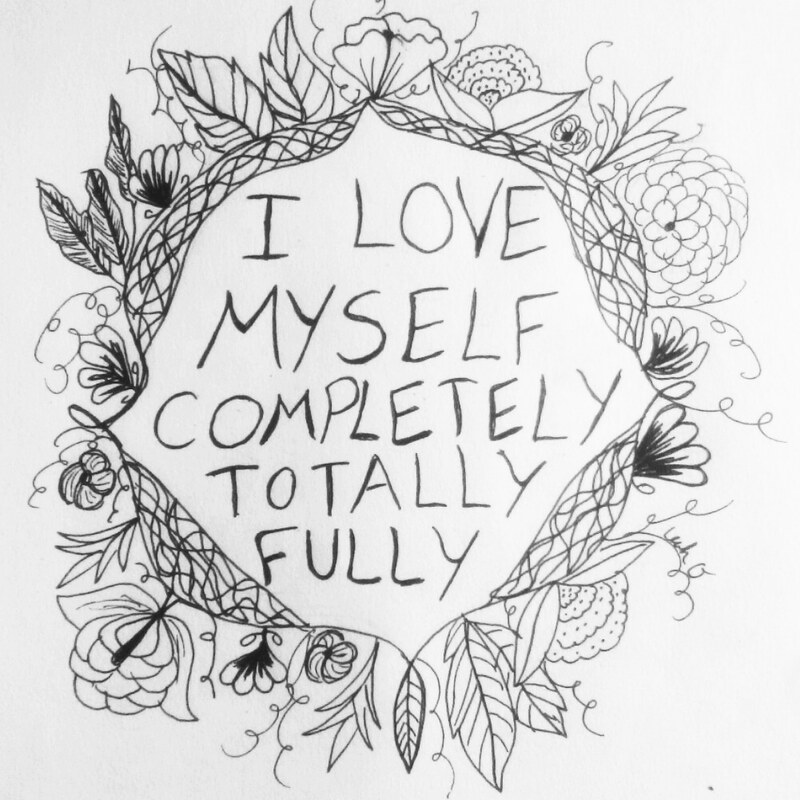 I love myself completely, totally, fully. My self love practice includes learning about the parts of my heart I don’t understand. It’s not an enjoyable process, but I know from experience that it creates more peace in my life. Is your self-love practice more than manicures and meditation? Are you stretching yourself? I know how difficult it is when you don’t have a support group close by. Mine is quite scattered. I feel lonely very often, but I know that I am worth the moon and the stars. We, the lonely people need and deserve to love ourselves completely, totally, fully as much as anyone does. Keep trying and I will hold your heart in my heart. If you desire extra support, check out my free D.I.Y. Therapy E-Course to dive deeper into self-care. Despite the years of heart-work I have put into healing, life is bumpy and I feel it. Things happen that cause me to feel sad and concerned. It’s a slippery slope that I’m well aware of. If I don’t take action, I will slide down into that dark valley of depression. Phuck that! I spent enough time down there, now I’m scaling mountain peaks! One way I can do this, is by listening to my body and honoring what I need. Sometimes I need to rest and sometimes I need to move! So yesterday when I woke up feeling sad, homesick and a little queasy, I chose movement as my boost. I walked around the park, played a few favorite songs, and stretched along the way. By the end of the walk, I was feeling balanced again. Once I start moving, my body gets happy and then it tells my mind to get happy and then I can focus or face off on what is most important. Movement has been working great the past few years. I dance more, sometimes even in public, I stretch regularly and I move when my body feels tight. I also rest when I need to. So if your low energy or sadness is spurred by being everything and doing everything, make yourself slow down. Take a nap, go to bed earlier or sleep in later. Your body needs to rest! The older you get, the more rest it needs. If you’re serious about depression, you also need to watch what you consume. Soda is out and vegetable juice is in!Eat vitamin rich foods. Especially make sure you take Vitamin D & B. Those can really help your energy level. So if you are feeling low energy, listen to what your body needs. Healing depression is a whole-self journey. It’s mental, physical and emotional. Let yourself explore what feels good and what wears you out. Decide for yourself what you need, don’t just rely on what works for someone else. Healing starts with you! PS. If you want more support, I created a free e-course to help with depression D.I.Y. Therapy: Healing Depression. Its FREE, you don’t have to sign up or pay. I created it because I know the pain of depression. FUTURE creative healing projects, like my upcoming book collaboration with a dozen artists, writers and healers who are creating a self-love revolution. Grief is a powerful transformation. Losing our loved ones to death changes our life. That person is no longer there, our plans together, our interactions and the future we saw with each other are gone. All the times I’ve experienced grief have been different. Some times have been similar, but my life has changed in varying degrees. Friends and family that were such a presence in my life have left me with voids. Make no mistake, for the most part, these are sad, lonely voids. However, they’ve also given me inspiration to live more profoundly, in a way that resonates with me, not with expectations I had or that society portrays. Each day I am present to this inspiration is a day where I feel myself growing into the most perfectly imperfectly person. My life has been transformed by grief so often. So, while I’m not completely comfortable with death, I am less afraid. I’ve become less worried about dying. With this new strength, I can honestly tell my abuela that when she’s ready to go I will be ready to let her go. Grief is still painful, but in a way I know what to expect. And yes this makes it a little easier, not easy, but easier. Today would be my mothers birthday. We would celebrate with something fun like dancing or cake at the beach for sunset. Yet while I do feel sadness, my overwhelming emotion is appreciation for the beautiful friends and family I’ve seen and talked to today. For a while now I have been working on a book about grief. This experience has opened my heart to just how much my life has transformed from grief. Grief is a powerful gift, but truthfully I’d return it for my deceased family and friends to be alive and dancing with me again. Any thoughts on grief? Has your life been transformed? Are you caring for someone who is terminal? Or are you more comfortable to ignore the idea of grief all together? “D.I.Y. Therapy: Healing Depression is available trough Amazon as both an e-book and a paperback. This is not my first book, but it is my most personal. I share my struggles and pain honestly. Openly and honestly sharing healing is my gift to the world. With 1 in 4 people in the USA suffering from mental illness I hope my story will help others to start their own journey to better health. Unlike a broken bone which heals in a matter of weeks or months, healing mental illness takes much more time and a whole lot of self-love. Go ahead and CRY. It’s okay to let out that pent-up pain. Yes happiness is one of our goals, but we are imperfect beings and we feel sadness. Our real goal is to find BALANCE. Why do we stop ourselves from expressing negative emotions? If you’ve lived as long as me or are an emotionally intelligent person than you have noticed by now that denying, ignoring and stopping ourselves and others from expressing negative emotions only gives those negatives more strength. There is a healthy strength in allowing yourself to cry when you can’t hold in the pain any longer. Crying releases the toxic negative buildup residing in our bodies. Crying gives us relief. For me I used to cry so easily. The tiniest prick would have me slumped on the floor. So I nagged and berated myself about it. I was so cruel, calling myself a “stupid useless idiot”. The more frustrated I became with my pain and tears the more I cried. I trapped myself in a nasty cycle. I felt like I would be stuck in it forever. But then I started reading wisdom from others who had felt similar pains, who held in hate and sought revenge for the pain others caused me. I listened openly to their words and found a comfort in learning two very important lessons. The first lesson was that I was not alone in my pain. There were many more like me. Some of them survived and some gave up under the weight. I decided I wanted to survive. The second lesson was that I could heal if I learned to go, to focus on what really matters be it good or bad. I learned that not every prick deserved a cry. I learned to shed my tears for the gut punches. A small cut requires medicine and a bandage. Those big painful knock-outs require much more. They need a cleansing. Crying is a cleanse. It allows you to rinse away the lingering disease and heal. So go ahead and CRY! DO YOU FEEL BETTER AFTER YOU CRY? Purchase my ART on Zazzle.com/OviedoStyle. Ready to HEAL from depression? Read my D.I.Y. Therapy posts.